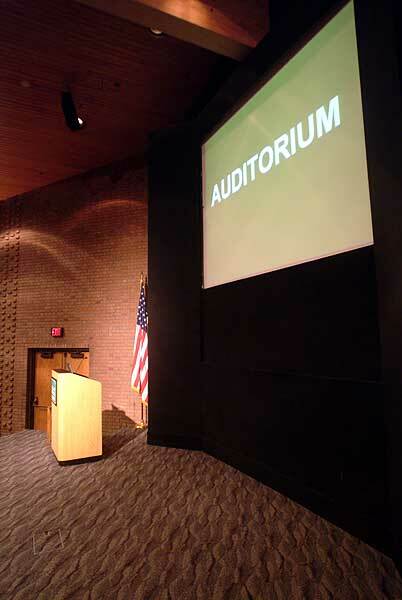 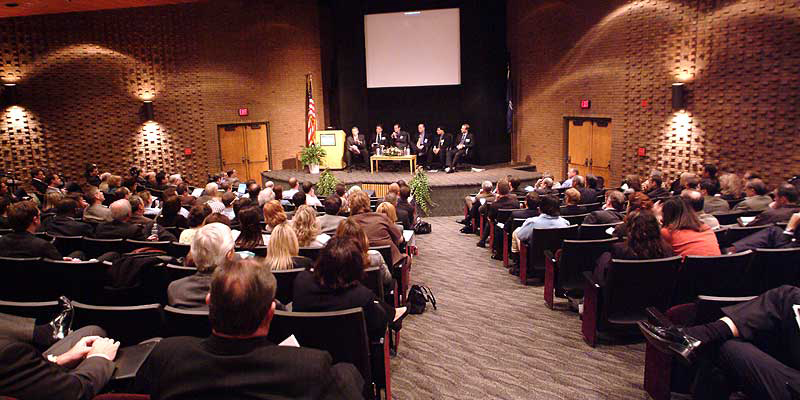 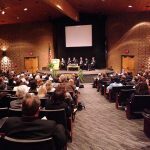 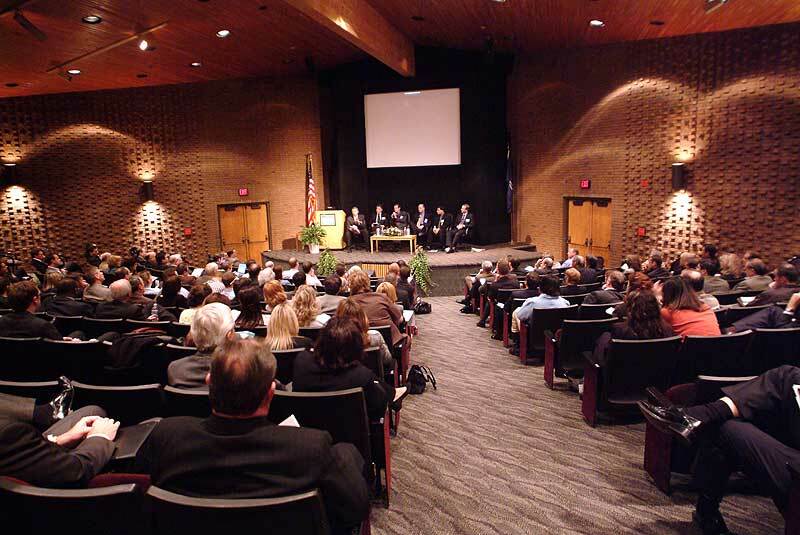 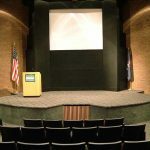 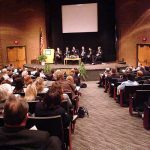 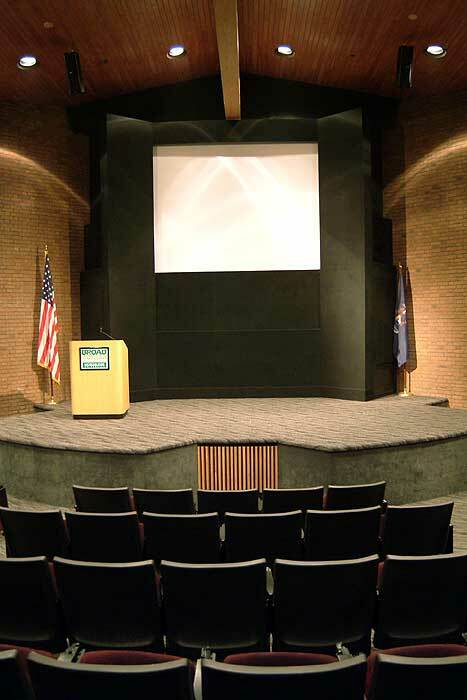 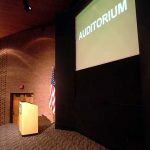 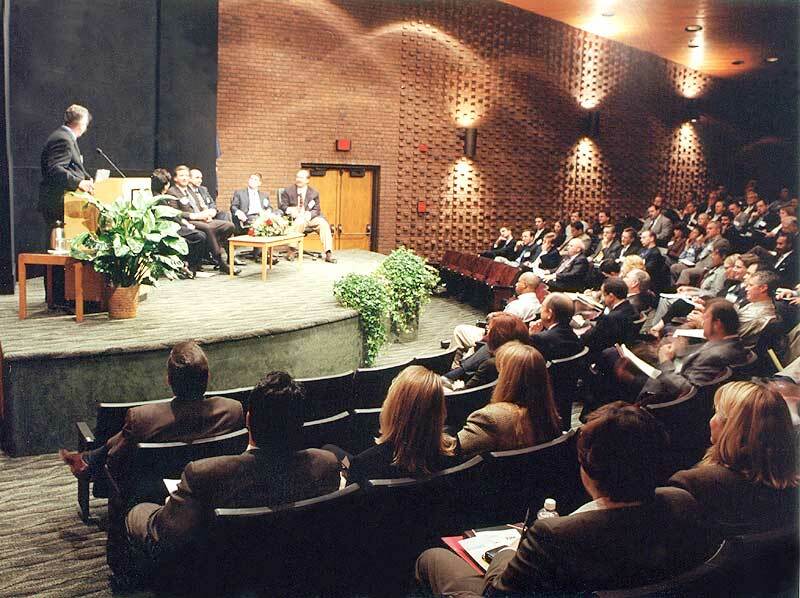 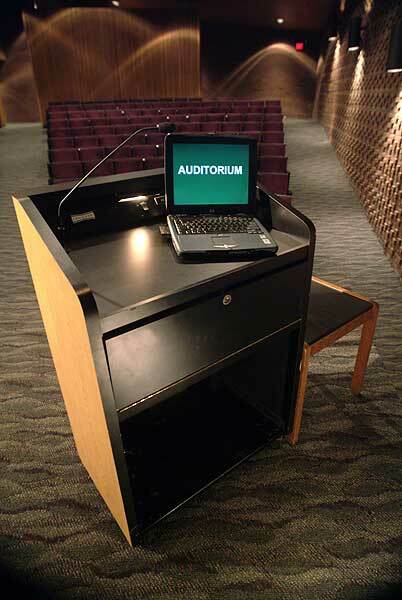 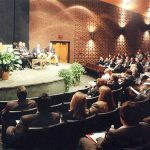 The Auditorium is an ideal atmosphere for large meetings and presentations in the Detroit Area. 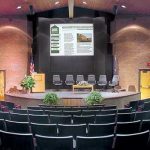 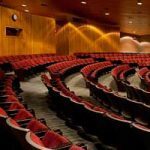 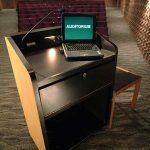 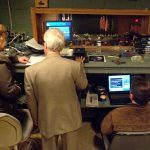 The formal theater is beautifully constructed of hardwood oak and brick, has a sloping floor with an elevated stage area and a private projection booth. 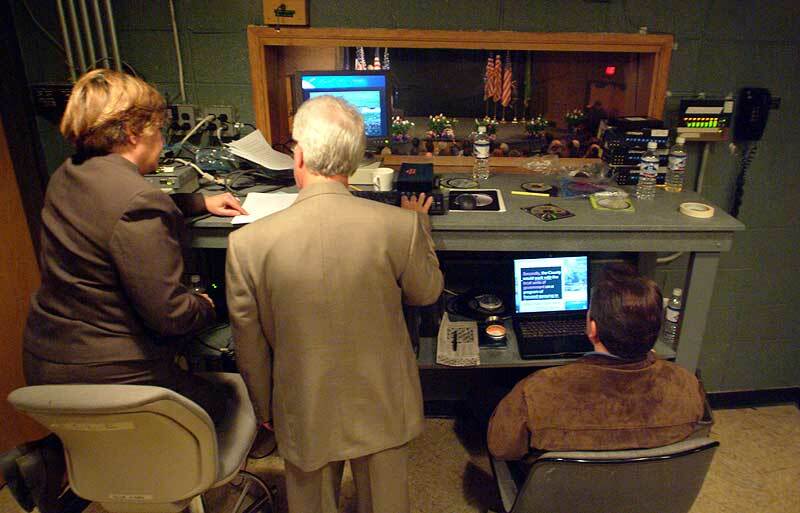 Integrated audio, video, internet access, satellite and computer projection systems all complement the room. 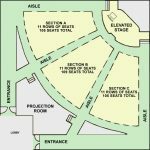 There are a total of 319 fixed seats, but total capacity is 385 with additional seating. 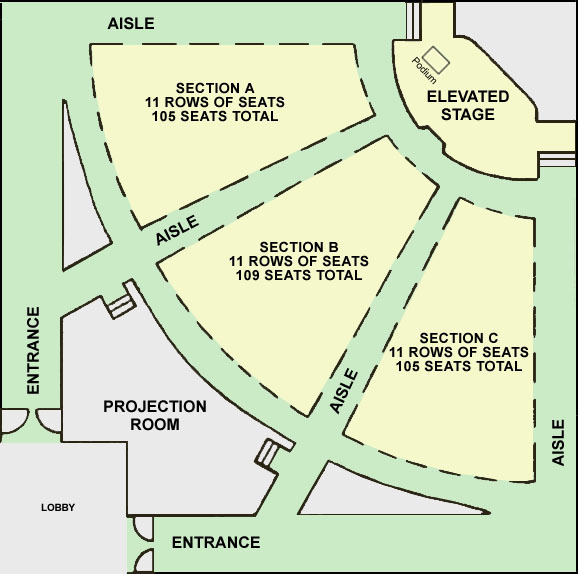 The general layout of the room is shown below.